The assumption that WikiLeaks altered the outcome is still nonsense. No matter how the White House tries to spin the testimony of FBI director James Comey to the House Intelligence Committee on Monday, the damage can’t be denied. Though it merely confirmed what everyone already knew, Comey’s statement that an investigation into possible collusion between the Russians and the Trump campaign has been going on since last summer provides ammunition for the president’s critics. Even more than Comey’s willingness to add his voice to those officials who have dismissed the president’s foolish tweets about the alleged wiretapping of Trump Tower, the FBI inquiry gives a measure of credence to the conspiracy theories about Russia that liberals have been using to undermine the president. The probe may find absolutely nothing that justifies the suspicions. Indeed, given that the government sources that leaked the first information about surveillance of Trump-campaign figures to the New York Times admitted they had found no evidence to back up the charge of collusion, it is entirely likely that the FBI effort will eventually come up empty. But the existence of the probe is enough to cast a shadow over a presidency that is already floundering because of the president’s self-inflicted wounds and the chaos engendered by the palace intrigue that has engulfed the White House. But despite the seriousness of the administration’s predicament, it is still worthwhile pointing out that one key element of the Democratic narrative about Trump and Russia is still utter nonsense. The notion that Russian efforts succeeded in stealing the presidential election from Hillary Clinton has no basis in fact. 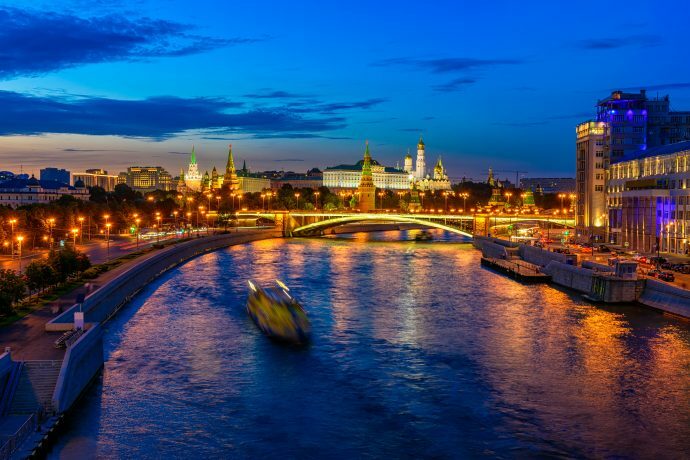 Image credit: Night view of Moscow Kremlin and Moscow River in Moscow, Russia by Catarina Belova / Wikipedia.